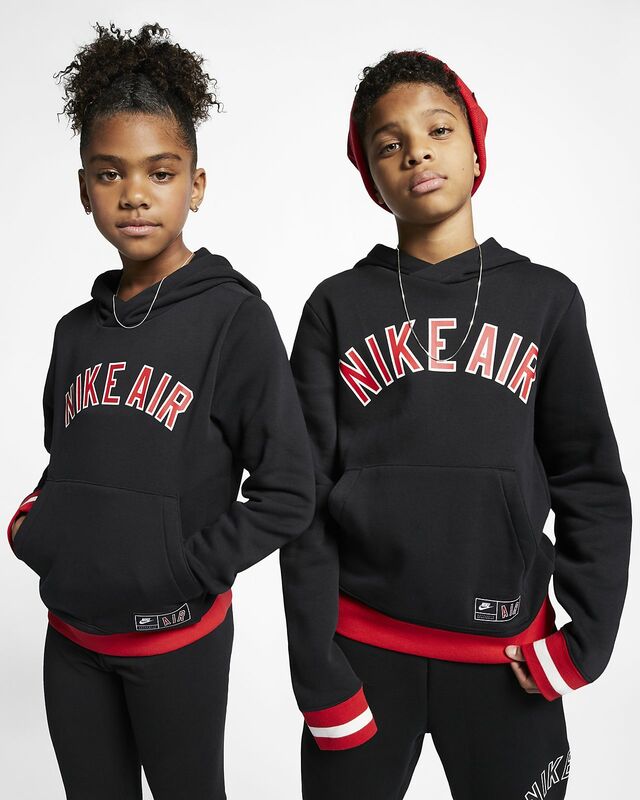 The Nike Air Hoodie goes vintage with ribbed edges and striped cuffs. Its relaxed design is made of soft fleece for warmth and comfort. Fleece fabric feels soft and warm.